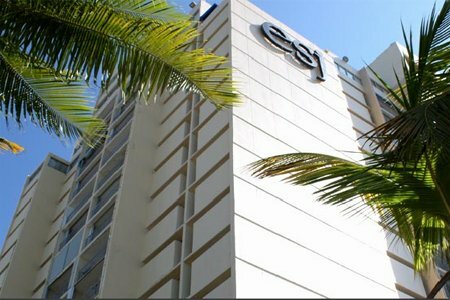 ESJ Towers is located directly on the Atlantic Ocean, adjacent to the Wyndham El San Juan Hotel & Casino. Guests can enjoy the beach, a swimming pool, game room, and bar. Tennis courts and a casino are available at the hotel. The resort is close to the sightseeing attractions of Puerto Rico's historic capital city.